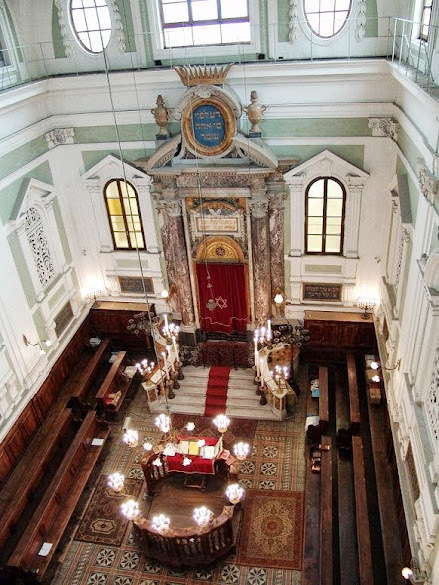 Siena's splendid synagogue is having a busy cultural summer. After the interesting guided tour and talk organized by the Siena Art Institute with Israeli artist Avital Cnaani last week, the synagogue hosts a video performance called A Jewish Opera by Davide Casali. The video performance allows a glimpse into the rhythms of Jewish life, which is divided by the reciting and singing of the three daily prayers - Shachrit, Mincha and Arvit. A Jewish Opera will be installed in the women's gallery of Siena's synagogue and has already been on show in Trieste and at the Jewish Museum of Venice. The installation can be visited from the 1st to the 31st of August 2103 from 10.30 am to 3 pm (Monday to Friday) and from 10.30 am to 5.30 pm on Sunday. Closed on Saturday. After its exhibition in Siena, the video performance will be on show in autumn at the Jewish museum in Florence.